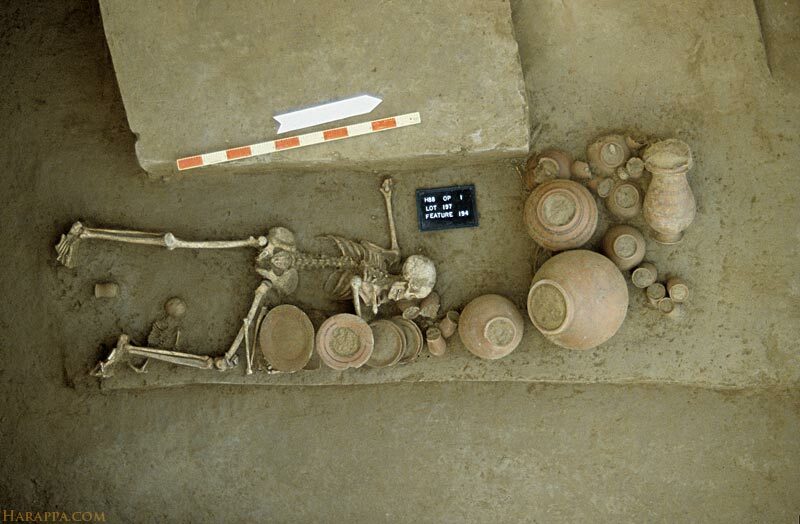 This burial was disturbed in antiquity, possibly by ancient Harappan grave robbers. Besides the fact that the body is flipped and the pottery disturbed, the left arm of the woman is broken and shell bangles that would normally be found on the left arm are missing. The infant was buried in a small pit beneath the legs of the mother.